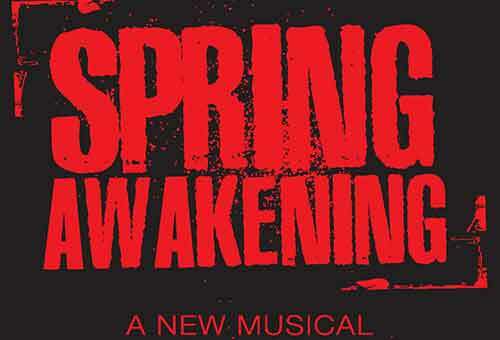 The winner of Eight Tony Awards (including Best Musical) and a Grammy Award, Spring Awakening explores the journey from adolescence to adulthood with a poignancy and passion that is illuminating and unforgettable. The landmark musical is an electrifying fusion of morality, sexuality and rock and roll that is exhilarating audiences across the nation like no other musical in years. Set against the backdrop of late-19th century Germany when adults held all the cards,Spring Awakening deals with the complexities of adolescence without understanding what it means…and the consequences. This show contains strong adult language, sexual content & situations, and references to suicide and death.